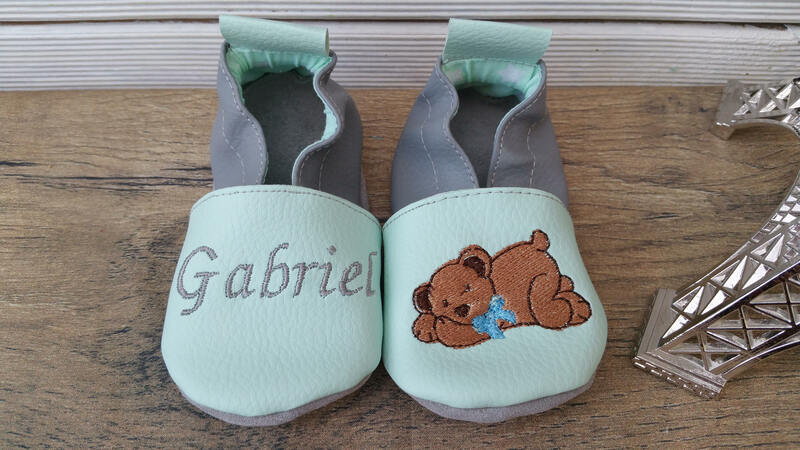 The lining is made with cotton or fleece. 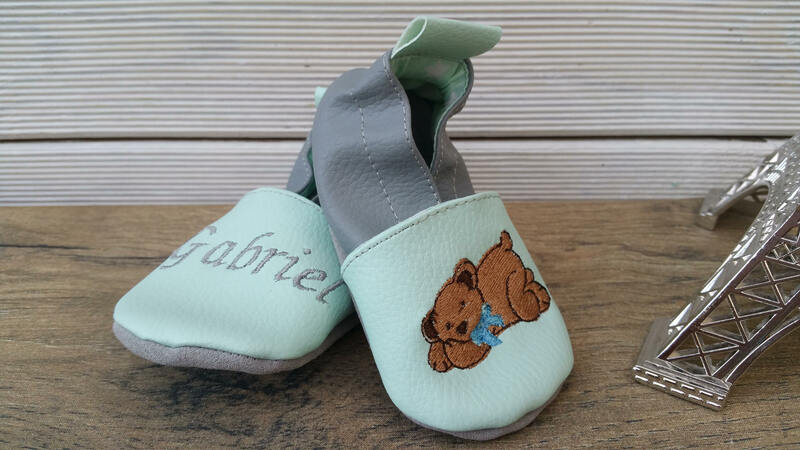 The pair shown here is made of faux leather on the front and light grey on the back. 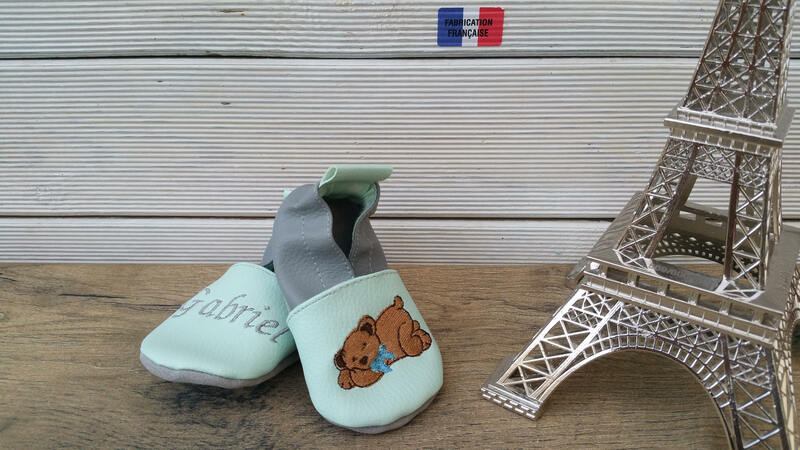 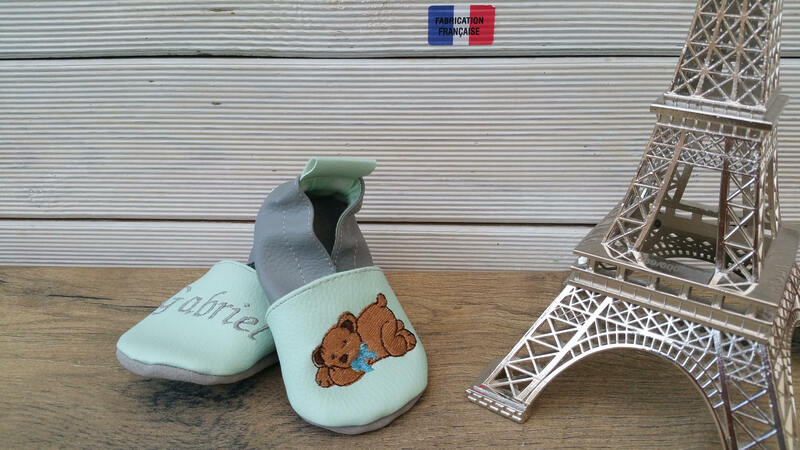 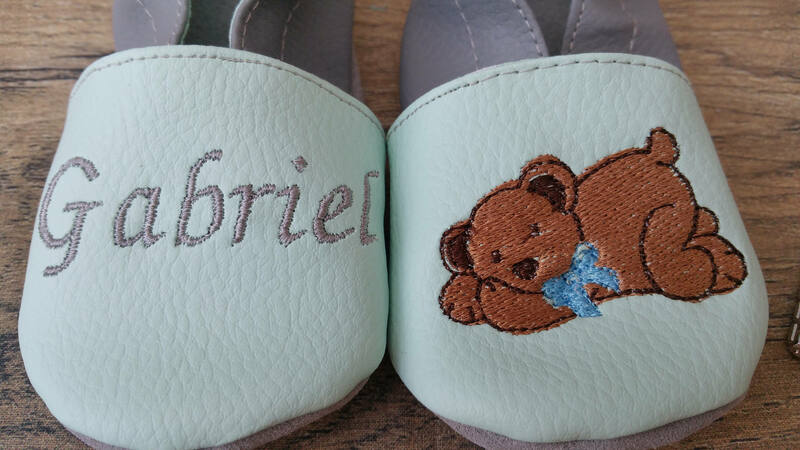 The name of the child's foot and the other a teddy bear lying.